In light of today's fast paced, globalized economy, there is an increasing need for organizations to produce products and utilize resources more effectively and efficiently. Moreover, the Information Age we are living in makes it almost impossible for any organization to stick to the traditional ways of doing business. Organizations with a better handle on their supply chains can gain a distinct competitive advantage in today's market place. As a result, supply chain management has become vital; not just for success, but for survival in this new economy. 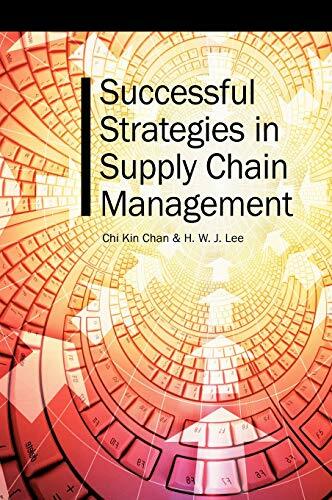 Successful Strategies in Supply Chain Management examines this critical topic from all aspects. At the heart of the book is providing the tools and techniques for organizations to streamline their supply chain. From acquiring resources to distribution outlets, this book touches on all phases of the supply chain; giving readers the assets they need to obtain that important competitive advantage.